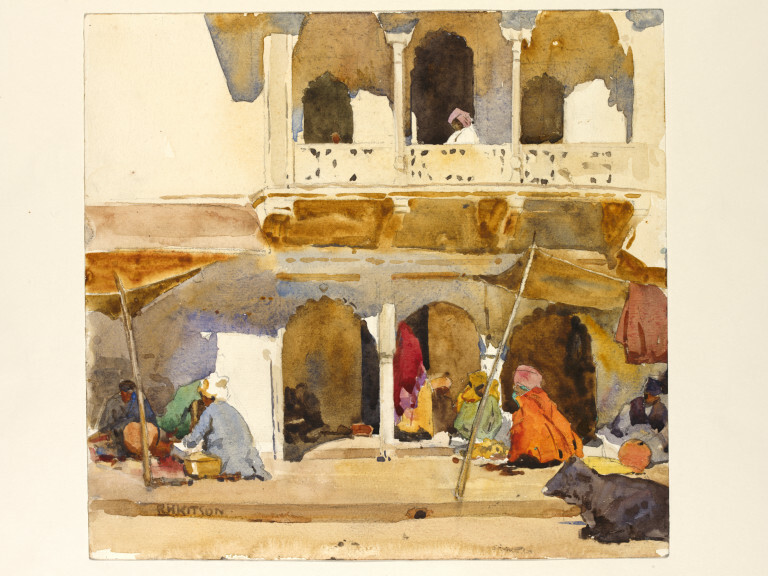 Watercolour entitled 'Gwalior', a scene in a city in Madhya Pradesh, India. 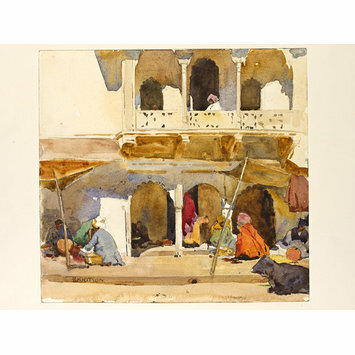 Watercolour by Robert Hawthorn Kitson entitled 'Gwalior', a scene in a city in Madhya Pradesh, India. British School, 1925.